Are you looking to SAVE THOUSANDS? Look no further, this home qualifies for a NO CLOSING COST LOAN. 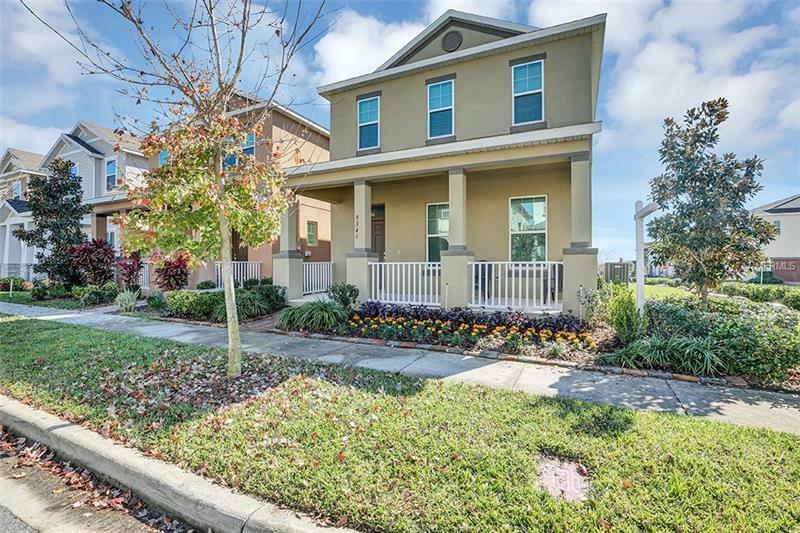 You will love this beautifully upgraded 3 bed, 2.5 bath, 2 car garage home located on a corner lot with mature landscaping in the popular Watermark community in Winter Garden. Upon entering you welcome a spacious family room and kitchen combo perfect for entertaining. The kitchen is the main focal point of the home and features granite counter tops, butlerâs pantry, tiled back splash and stainless-steel appliances. Adjacent to the kitchen if the formal dining room. Making your way upstairs to find a large airy loft and for added convenience the laundry room is located upstairs by the bedrooms. Watermark is a beautiful master planned community with a resort-like pool, sports courts, playground, clubhouse and gym, and tons of sidewalks for walking, biking and taking the night time stroll to watch the theme park fireworks. This community is also zoned for A-rated Independence Elementary School & Avalon Middle school and the new Windermere High School. Just minutes to local shopping and restaurants, and right around the corner to Disney, you will love living in the center of it all. Call today for your private showing.